Last month I was able to attend the IBJJF World Masters Tournament in Las Vegas. I was originally registered as a competitor but I had to pull out from this competition due to a back injury I sustained during my training three weeks before the event. 1. Fundamentals Matter The Most. 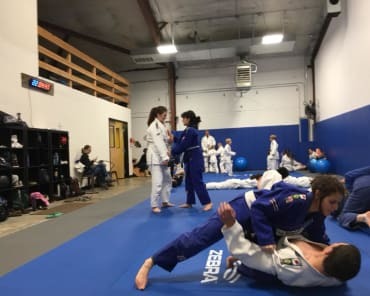 Almost every submission that I observed happened because of sound "white-belt" fundamentals being utilized and/or sound "white-belt" fundamentals being missed by the person being submitted. The mount and the back control positions were where by far the most submissions occurred. The person on top, who was usually the one to win the take-down first ( another observation I will elaborate on later), was the person who almost always came out victorious. You have to know that most of the matches that I observed were black-belt competitions. IBJJF Masters is the biggest tournament for those who are 30 and older and there are a lot of high level and serious competitors in this large age range. Many of the black belts were former professional fighters. This high level competition makes it even more remarkable that it is the "white-belt" techniques that matter most. We can not only never forget our fundamentals but we must practice them continuously and develop them more and more. The lesson is that you can never correctly drill enough of these basics. Drilling the simple positions of control and the transitions to get to those positions are what matter. Drilling the high percentage "white-belt" moves are going to be most useful even when competing as a black belt. Last Spring I was able to attend a Rickson Gracie seminar. Rickson is one of the most well known of the Gracie family and is especially known for his undefeated record as a professional fighter. Rickson started the seminar first by talking about mentality. He said that our mindset is most important as to whether we are victorious in combat or not. The next thing he talked about and demonstrated was how to breathe. The third thing was how to stand on our feet and the fundamentals of good balance and posture. He continued more with a proper guard when on the ground and how to defend from strikes using the guard. He taught a simple and basic method of getting to your opponents back from the guard. There were a few more techniques and principles he covered but all were extremely basic and "white-belt" concepts. Rickson concluded the seminar talking about how so much of jiu jitsu has been forgotten and that he sees many black-belts today that are forgetting the basic fundamentals. He mentioned some UFC fighters by name who are BJJ black-belts but executed poor technique or no technique when they were caught in the mount position and subsequently were knocked out and lost their fights. 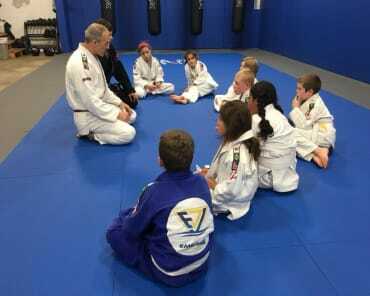 His point was clear that teaching fundamentals is most important and while many newer techniques are good and perhaps more interesting, the fundamentals cannot be replaced and must be further emphasized by those teaching jiu jitsu. I will continue more with my observations at Masters in Part 2 of this post. 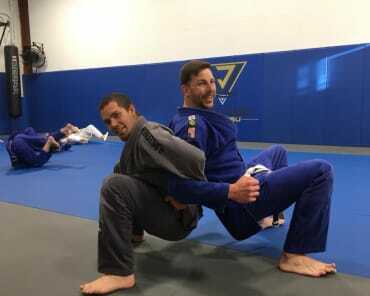 For now, take from this post that it is the traditional white-belt and beginner principals and techniques that must be sound and foundational to our game of BJJ either in sport or on the street.